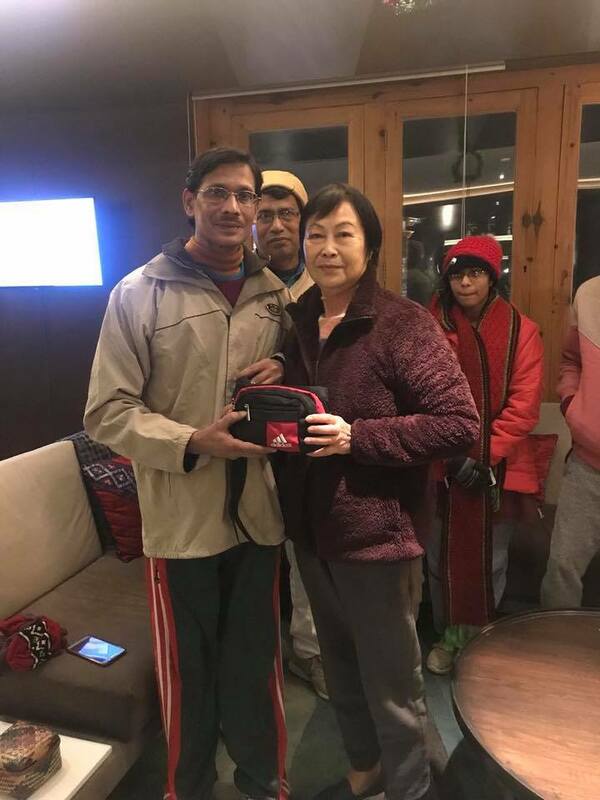 Mr. Jagadish Sinha from Ashok Nagar Bhadreswar, Hoogli District, West Bengal, India, who is in Bhutan as a tourist, has proven high standards of integrity and honesty by returning to fanny pack that he found along the way, on his return from Taktsang this evening. The pack contains a huge amount of cash (US $ 5290, Macau $ 4500, Hongkong $ 6000, Bhutanese currency nu 15000), passport and other important documents. The pack and its contents were returned to its rightful owner, Mrs. Lei Deolinda from Macau, China who is also in the country as a tourist. The RBP is immensely grateful to Mr. Jagadish Sinha and commends his honesty and integrity. Such acts restore our faith in humanity.